Another added: “besides, it’s all based on dubious modelling anyway, there’s no actual evidence that any of this is happening. We don’t have reliable temperature records and the satellites have only been up for the last 30 years or so. What about all that time before modern temperature recording? 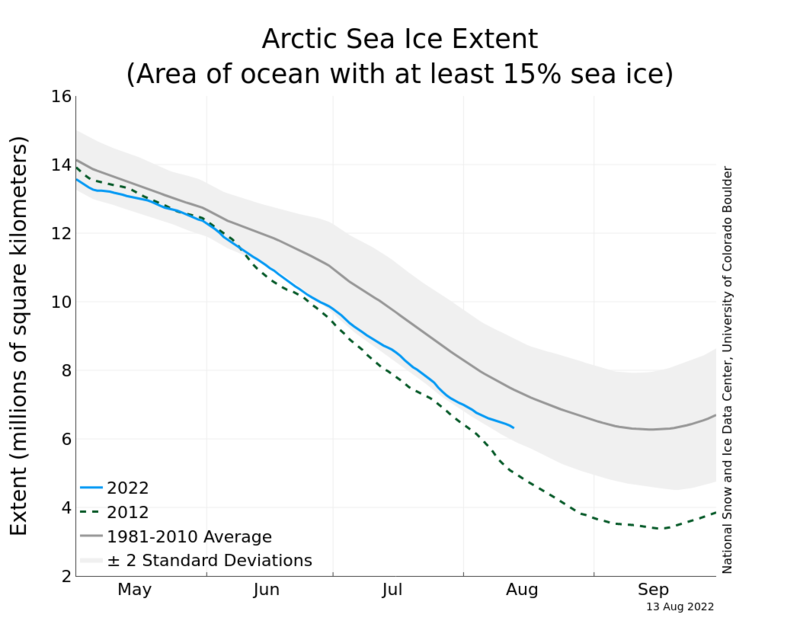 Meanwhile as you can see above, Arctic sea ice is at record lows this year. 2010 looks set to be one of the hottest years on record. As of the end of May, the previous 12 months to May 2009 are the hottest globally in the past 130 years. 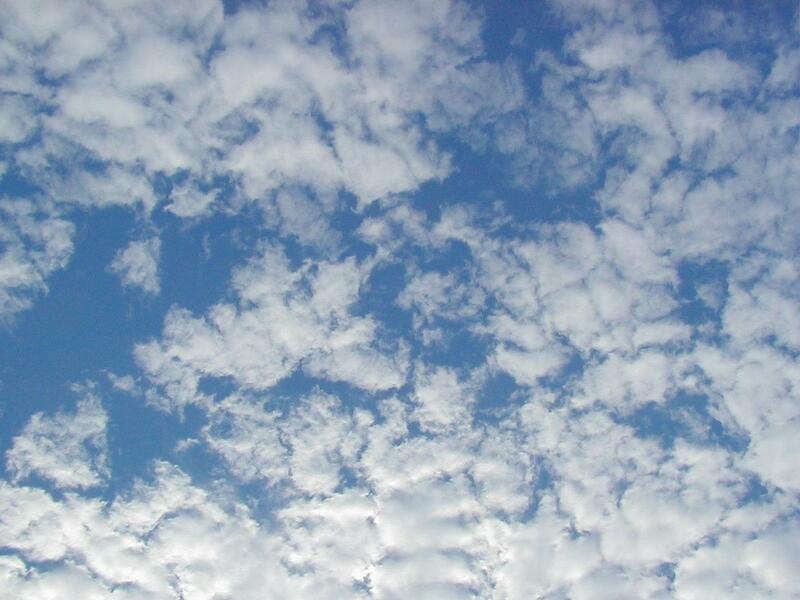 2009 ends Australia’s hottest decade on record. Very few scientists with credentials still disagree with the notion of anthropogenic climate change. At least one of those remaining appears to have been caught cooking the books. It’s time to ignore the popular debate, it’s chock full of misinformation. Look at the fundamentals. Go back to the basics, and read about climate. I’m so sick of strong opinions backed by nothing but talking points! It’s a bit hard to get a sense of scale from this shot though; those mines are really, really freaking huge. See that medium-sized one on the upper left? Here’s a zoomed in shot which gives you a sense of scale. 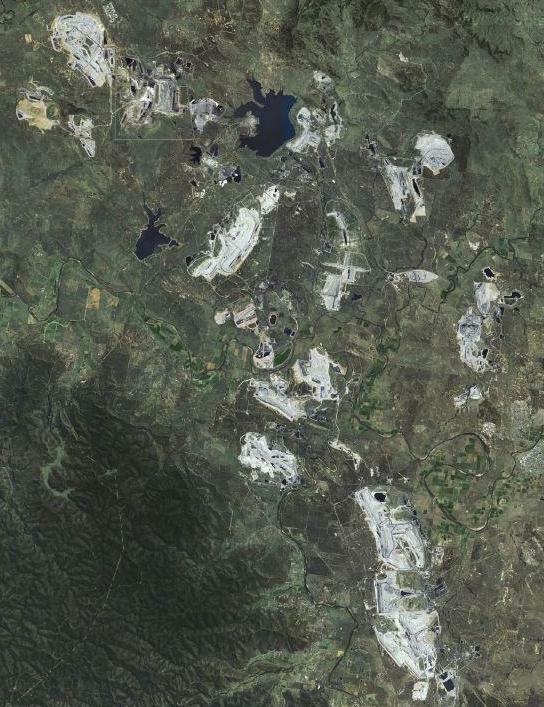 Look at the size of the buildings, or the trees compared to this upper section of the mine. Click the image for full-size. The upper third of that mine. Click to enlarge. 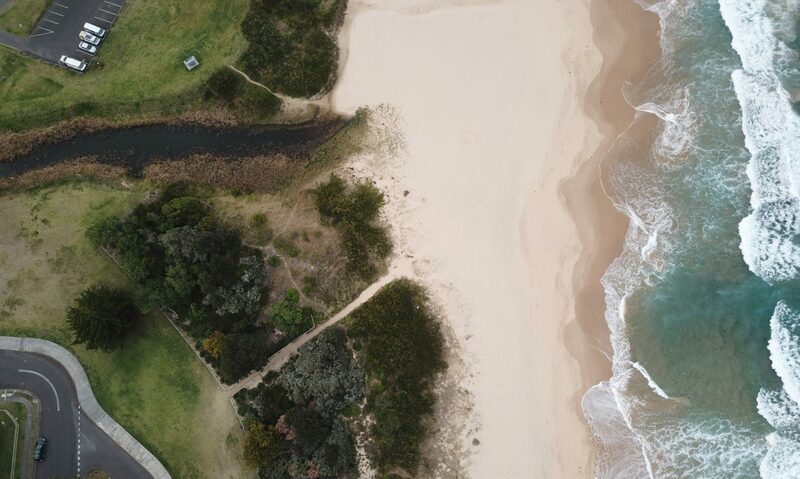 The majority of Australia’s coal is found in NSW. The Australian Coal Industry estimates that Australia has another 180 years worth of identified reserves at today’s rate of consumption. Quite apart from what will be done with all the carbon dioxide produced by burning that coal, what’s our landscape going to look like in another 100 years? Bloody hell. And some 85% of our power is produced by burning this stuff. 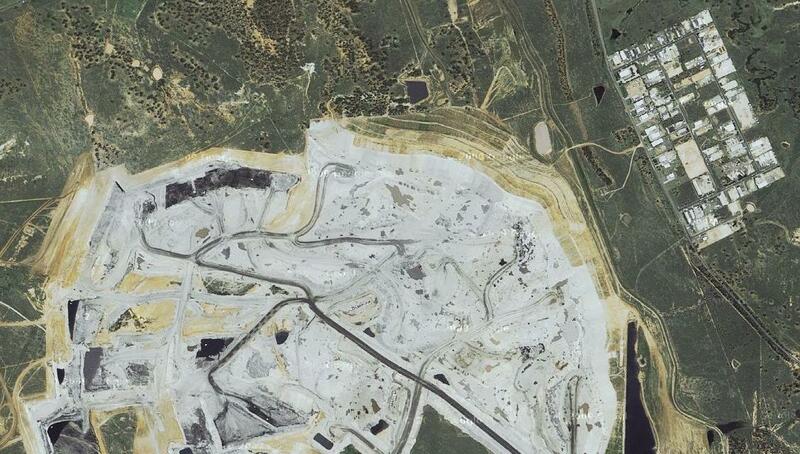 I’ve gotta say, electricity windfarms are pretty ugly but … so are massive open cut coal mines. Okay, I’ll take my hippie hat off now.